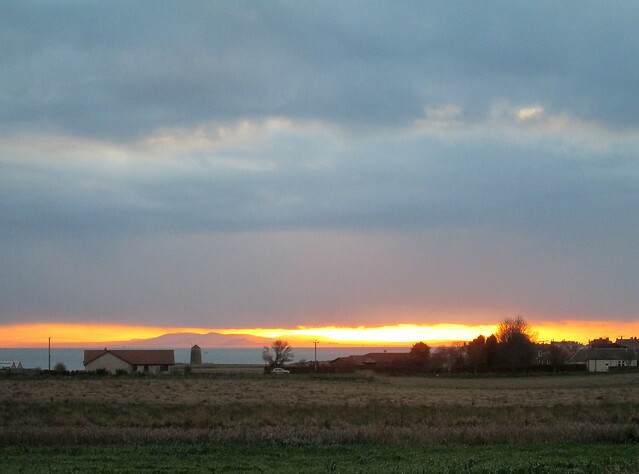 On December the 8th we went to the Bowhouse Market which is held in barns on a farm between Crail and St Monans. I think Bowhouse (Bauhaus) is a pun on the owner’s name which is I think Bowie. 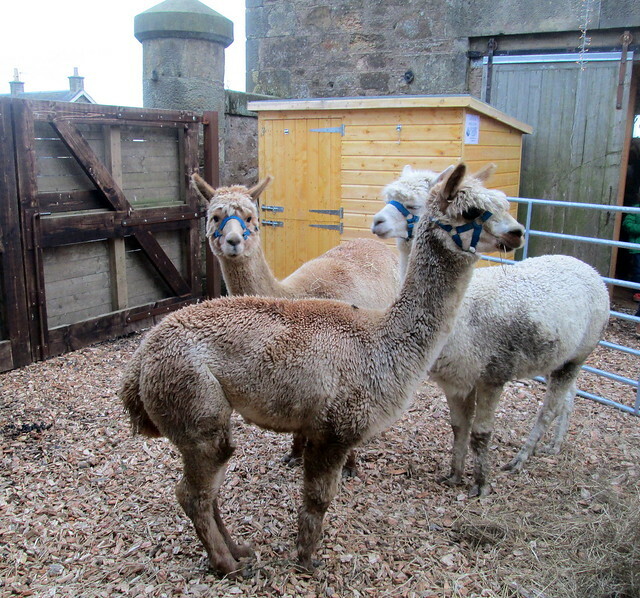 For some reason there were alpacas there, I don’t think they’re particularly festive but they were very cute. 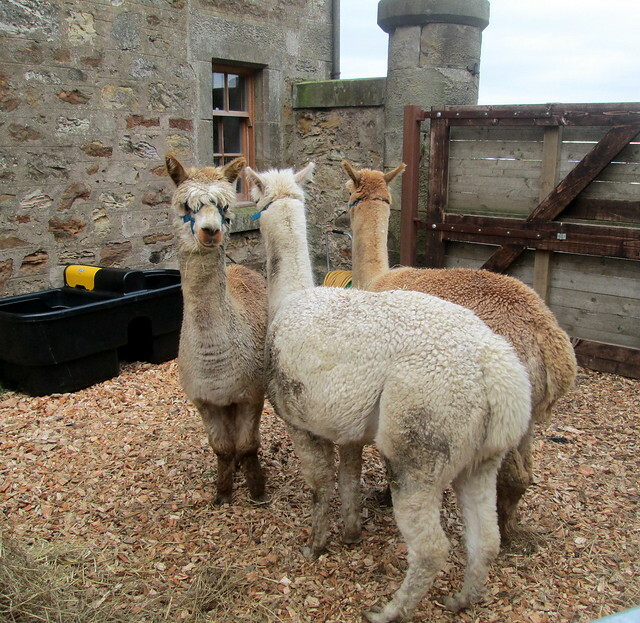 I got the distinct impression that the alpacas thought we were very strange beings – don’t look at them those two said as they turned their backs on us. 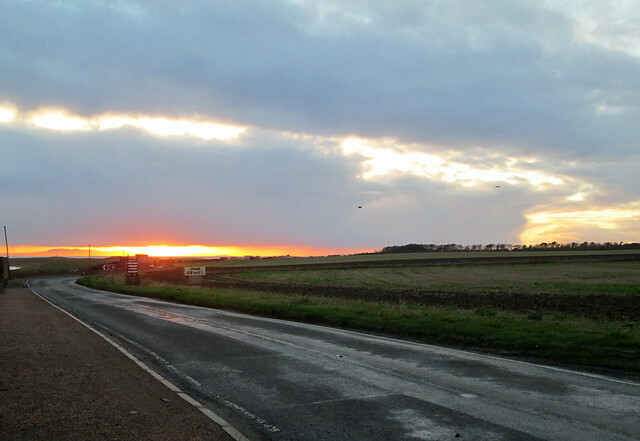 After buying some lovely food and drink at the market we drove home admiring a gorgeous sunset which of course the camera didn’t do justice. It’s obviously a rural part of the county and the road back home is quite a narrow one. These houses will have a great view over the Firth of Forth, a sea view seems to be very popular with so many people, and I’m sure it adds lots of value to a house, but I must say I prefer the soft green of hills and field. It probably depends on what you grew up looking at as a youngster. What about you – are you a sea view sort of a person, a hills and meadows fan or do you prefer the bustle of a city and all the culture and conveniences that that brings with it? 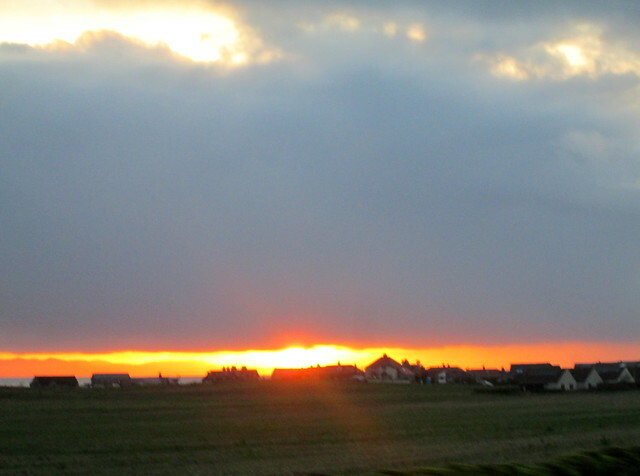 This entry was posted in animals, Fife, Scenery, Scotland and tagged alpacas, Bowhouse, Crail, winter sunset by Katrina. Bookmark the permalink. I know the sunset was even more beautiful in person, but your pictures are just lovely. I am definitely a “country” girl at heart. I’ve always dreamed of living in the mountains of the gently rolling variety. I grew up on several acres of land located several miles from the nearest small town. I’ll take the space to “breathe” over convenience any day. And, while I enjoy a sea view and only live an hour from the east coast of Florida, it doesn’t make me as happy as looking at open land. I’m with you. 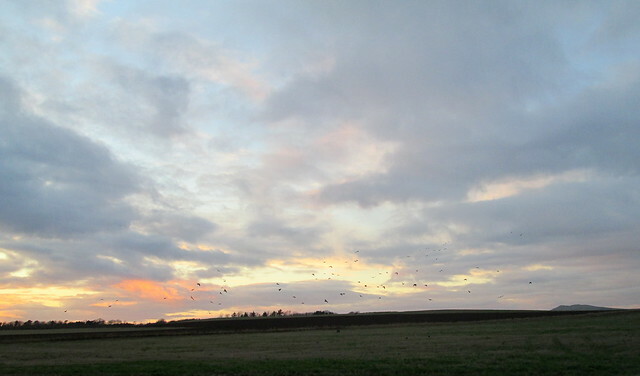 I think it’s all the lovely rural colours that attract me and of course that the countryside is home for so many animals. You can’t beat walking up a hill and looking down at the landscape from the top. I think that as the UK is such a small and crowded island there probably aren’t many places that are several miles from a small town, unless you count the Highlands. Having lived in all three types of places, I’m definitely a hills and meadows sort, although a distant view of the sea is nice. But cities or towns have their advantages, too. I think it’s that word ‘distant’ that’s crucial. So often here the sea is just grey and it merges in with the grey sky. You’re really never far from a city or town here. These days I prefer the panorama of the ever-changing sea and coast. I fulfilled my dream of living in the country, near mountains, for thirty years; I prefer the conveniences of living in a town now. Definitely as you get older it makes life easier if you live near a town and the shops and amenities. I must admit that there’s a village in the west of Scotland which is backed by hills but skirted by the Firth of Clyde which has been calling me all my life, but I only ever get to have the odd day out there. Of course I choose my days carefully so only see it in lovely weather! I love views of trees, especially, watching them through all four seasons. Views of the sea from one’s home is too expensive for me, though I love it on a vacation. Mountains, too, are tops in my view! And what about gardens??? What lovely views you have from the windows in your home of the garden. I’m glad you mention trees as I’m a bit of a tree hugger. I can’t decide when they look more beautiful, fully clothed or bare so that you can see how elegant they are. It was the view of the trees beyond our garden that decided us to buy our house. Some swine cut two of them down a few years ago though.